In perhaps a last ditch attempt to remove Najib, long-time and bitter enemies joined forces in a "Save Malaysia" movement, signing a Citizens Declaration to demand Najib's resignation. But will it work? 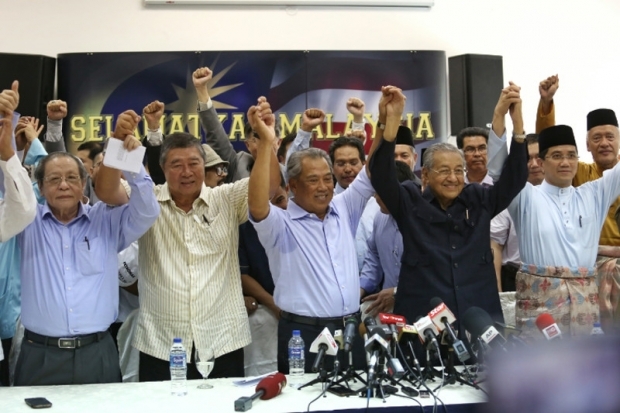 Will this alliance between veterans, which include former PM Tun Mahathir and veteran opposition figure Lim Kit Siang finally give Malaysia the "saving" it so desperately needs? I doubt so. If anything, this will just be a PR move that is doomed to fail, a "feel good" movement that will run out of steam in a couple month's time. Because ultimately, a Citizen's Declaration wields no power against Najib. After all, he had staved off several investigations against him — either by sacking or reappointing those in the investigating team — and quashed any potential mutiny by only keeping those who are loyal to him by his side. Even international reports, numerous exposes, Bersih Rally and repeated attacks from influential figures had no effect. So what's a movement filled with politicians past their age going to achieve anything? It'll be at most like a mosquito bite for him. Despite all the complaints against the government, Malaysians only spend their time complaining on social media, which out of the various forms of protests, is perhaps the least effective one. We are too spoiled to leave the comfort of our homes to protest, choosing instead to show angry emoticons at Najib's Facebook updates or signing online petitions. All of which can be easily ignored and brushed aside. We may argue that we have Bersih as a form of protest, but that only occurs once in a blue moon and functions more like a carnival than a successful medium asking for change. If you look like large protests like Hong Kong's Umbrella Movement (even this had failed), Thailand's colour shirt protests or the Civil Rights Movement in the 1960s, physical protests need to be sustained long enough with a high intensity to be able to bring about change. But can Malaysians, in our current state, muster enough willpower and dedication so sustain a protest movement that can mirror the likes of other countries' protests in our quest to ask for change? I doubt so. Ranting in social media is way easier. Plus it can be done in an air-conditioned environment. Mahathir may have got past his grudges with Lim Kit Siang, but that doesn't mean the majority of Malays think like him. If there's one thing that our government has done well, it's the divide and rule tactic. 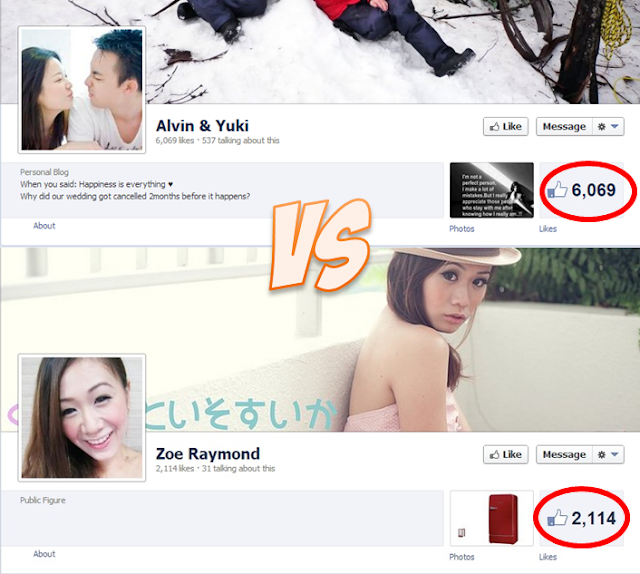 Just go to the internet section where the majority of Malays are, and take a look at their tweets and comments. Among the majority of these Malays, there's a mixture of self-entitlement and fear in how they view themselves and the rest of the country. Self-entitlement in a way that they see Islam and Malay as the superior force in the country, and fear in how these need to be protected from the outside forces. And UMNO has in a way, with decades of brainwashing, has successfully sold this propaganda that it's Malays first before Malaysian. So even if you constantly hammer away the corruption argument, this group of Malays doesn't see it as a priority. In fact, they might not even relate to it. Tell them a story about defending Malay rights and they'll be up in arms. Similar to what's happening at the US, our government has done a good job in keeping the electorate ignorant and focused on the wrong priorities, hence the continued support for Najib despite the many red flags around him. Even when all else fails, our judiciary, parliament, media and police force are supposed to keep a check on the government. They are the ones who are supposed to step in when the country is going haywire.However, their legitimacy has been systematically eroded over the years that they stopped being an independent check on the ruling government. If anything, our Police Chief is more like Najib's personal Trump than an actual legitimate authority figure. And don't even get me started on the media. All of these instutions are supposed to support the people. But as we all know, they're more like the ruling party's arms than a check for the ruling party. So how can we expect to change anything even when the instutions are working against you? So no. Malaysia cannot be changed, at least in the short term. Adapting from a Trump quote online, even if Najib is removed, it is only a short term solution. Malaysia's longer battle has to do with the systemic divide of our people and the erosion of our thinking. It has to do with trusting each other, and looking beyond the colour of our skin, the language we speak and the religion we practice. Only when we can learn to accept and trust each other again, despite our differences, can Malaysia be "saved". Najib is not the problem. He's merely a symptom of the bigger problem.